During a graduate nutrition course at a major university, a professor posed a challenge to the class: Construct a 2000 calorie-per-day diet that at least met the Recommended Dietary Allowances (RDA) for vitamins and minerals without the use of supplements. Most of the graduate students thought that this was going to be a simple assignment. After all, they had been told over and over again that people can get all of the nutrients their body needs simply by eating a well-balanced diet. Well, the professor was putting that statement to the test. To everyone’s surprise, no one was able to come up with a sustainable daily diet that met the minimum RDA requirements. The graduate students discovered that it is impossible to get everything that you need from the food we eat. But how could this be? Certainly people have lived on this planet for a long time and must have been able to get everything they needed from their diet. The answer has to do with modern farming techniques, fertilizers, and environmental stresses. The problem with modem fertilizers is that they don’t replace soil trace minerals, such as chromium, zinc, and copper, as do cow manure and other natural fertilizers. Over time, these trace minerals become more and more depleted from the soil and, consequently, our food supply becomes more depleted as well. The bottom line is that in order to get enough trace minerals in our diet to at least meet the minimum RDAs, it is necessary to take a good quality supplement. All vitamin supplements are not created equal! Different types of supplements have different levels of bioavailability. Now the bioavailability of a supplement refers to the amount of nutrients in the supplement that is available for absorption by the body. Absorption refers to the body’s ability to receive these nutrients and disburse them throughout the body by way of the blood stream. Therefore it would only be fitting to take a supplement that had a high percentage of nutrients readily available for the body to absorb, rather than one with a lesser quality. This is an actual x-ray taken in a doctors office and is seen regularly on x-rays of patients who generally take inexpensive store bought supplements. 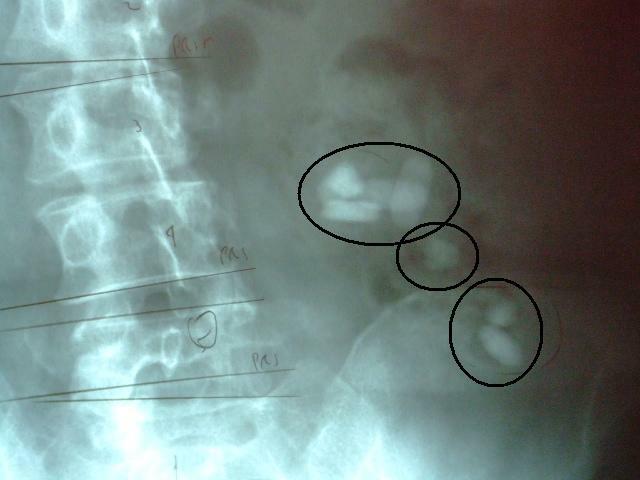 As you can see in this x-ray, most of the 8 tablet supplements this person has ingested have only a 0-25% bioavailability, limiting the body’s ability to utilize it. Tablet forms of supplements are usually the lowest in percentage of utilization by the body. The tablet form of a supplement will remain in the stomach digesting for anywhere from 40 minutes to 4 hours.
. Therefore, it would make perfect sense to look for a supplement that had a higher percentage of nutrient absorption; otherwise you would just be throwing your money away. Isotonix® dietary supplements are a replica of the body’s own fluids such as tears, intravenous fluids, plasma and breast milk. All fluids in the human body have a certain concentration, which is called the osmotic pressure. The body’s common osmotic pressure — which is isotonic — allows a consistent maintenance of all body tissues. In order for a substance to be used in the body’s metabolism, it must be changed to the isotonic state. The secret of the isotonic process is probably now becoming clear! When an isotonic substance enters the body, it will be absorbed into the bloodstream rapidly. With isotonic fluids, little nutritive value is lost, making the absorption of nutrients highly efficient. There is nothing artificial about it. An isotonic fluid is nature’s own nutrient delivery system. 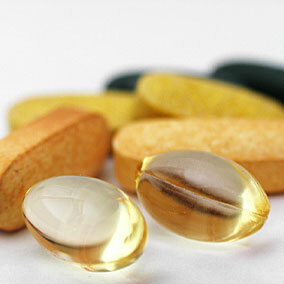 In general, supplements sold through health care professionals are generally of top quality. They tend to be a little more expensive than the supplements you find at your local drug store or health food stores because the ingredients that go into them tend to be of a higher quality. High quality supplements are made from isotonic vitamins and minerals. As you can see and Isotonic type of supplement is one that makes a huge difference in how well they are absorbed by your body. If you have any questions about specific supplements that you are taking, be sure to ask your Chiropractor or Naturopath. These are Doctors who are well trained in the nutraceutical field. Taking supplements, as part of your overall daily health regimen is a simple and inexpensive way to ensure that your body has everything it needs to be healthy. When combined with regular Chiropractic care, taking a high quality isotonic multivitamin will help slow the aging process and decrease your risk of a number of degenerative diseases. With years of nutrient depletion of our soils, it only make good sense to replenish that which our bodies lack. Be sure to talk to your Chiropractor to determine which multivitamin formula best fits your individual needs.